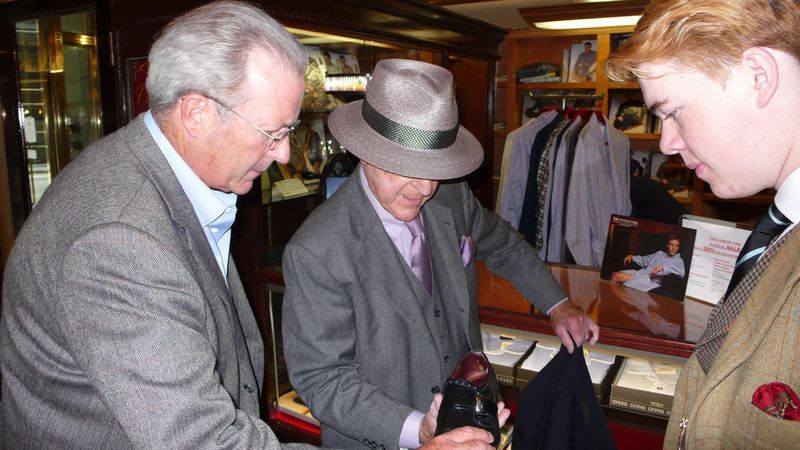 Mister Mort Goes to San Francisco’s Cable Car Clothiers | A Continuous Lean. Above: He had just walked in, his son behind him holding the door. I immediately think that this must be the proprietor. Wrong I was…though the second he walked through that door I had to get a picture. 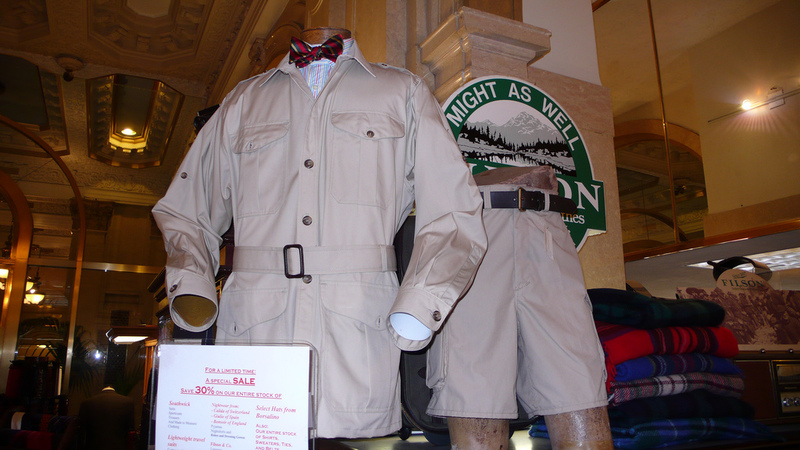 I said under my breath to the salesperson, I must meet this man. So I introduced myself and asked if it would be okay to photograph him and he lost about 30 years and just stood there smiling statuesque. He had brought his club jacket to be shortened. Above: Not sure how to describe these fine shoes. 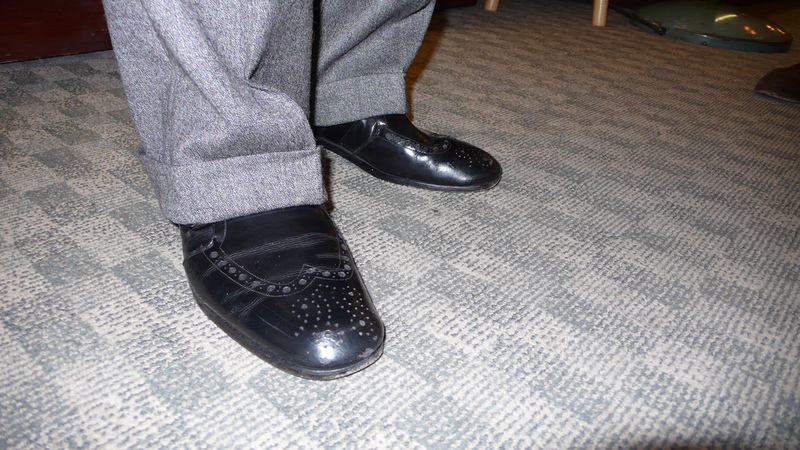 It is a loafer with a high vamp and a monk strap buckle. This man was so insanely impeccable I never felt more like a schlump! 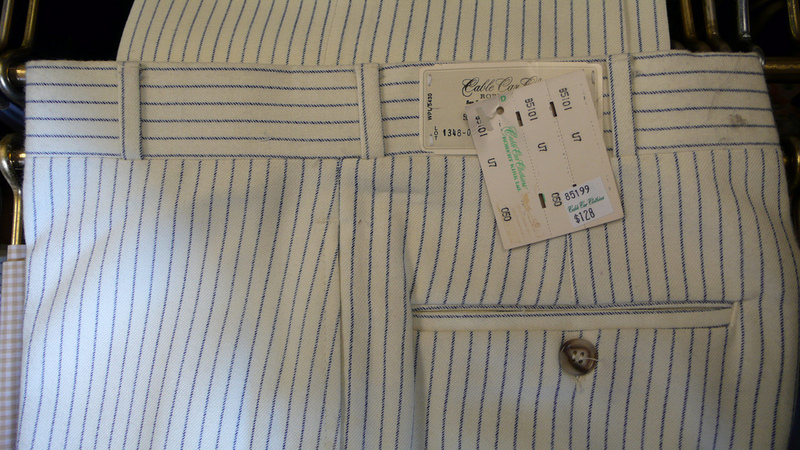 I like a break in a trouser sometimes – and this is a very good example. 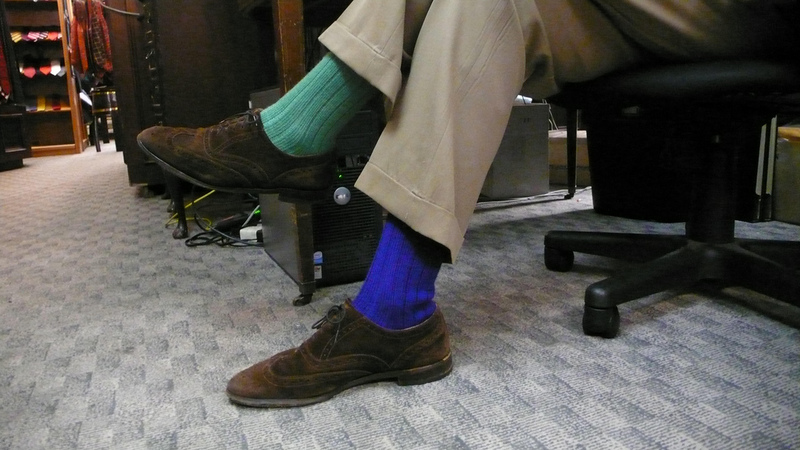 Not every man needs to show their socks or ankle – some of us are more reserved. Above: Yes, that is father and son. Within 3 minutes of walking in the door I’ve met the gentleman, and had the dad taking his shoe off to see who the maker was! It was rubbed out and eight eyes couldn’t make it out, but boy were they something. 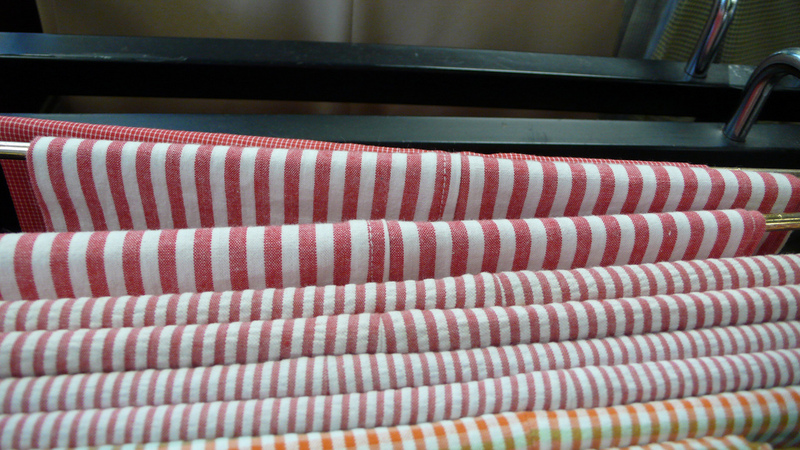 Above: Love how the wider stripes are not seer sucker but some other type of puckering cotton. I need these. Above: There were many things I want at Cable Car, but this here item really made me smile, saw on the way out… I’m glad I stopped for the 4th time to “look back” to be sure I didn’t miss anything. It warms my heart to see such a playful detail as different colored socks. Maybe not a style for any man, but the gentleman (the son I assume) in the photos look great. The father looks impeccable too, of course. The two gentlemen are in a league of their own. The shop, At Ease, in Fashion Island Newport Beach, Ca. looked like this place back in the early 80’s. This is one of the coolest posts I have seen in this or any other site, and that fellow, one of the coolest people. 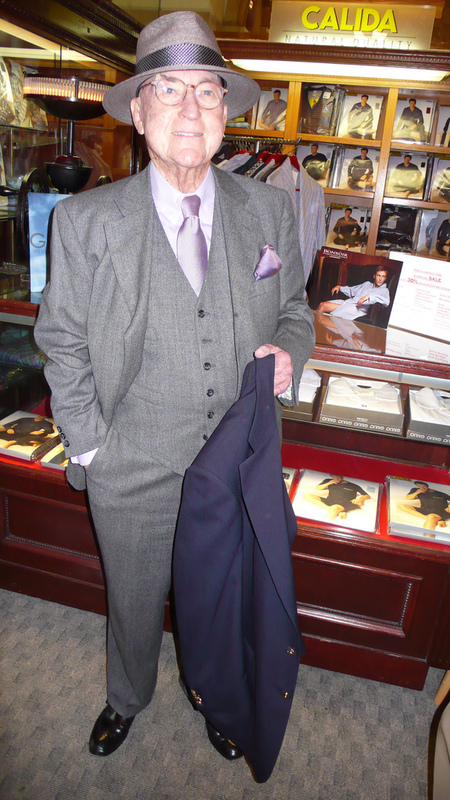 I hope I can look that dapper at his age. Nice to see that tradition and taste is still alive and kicking in some parts. great post! so much fun to see and READ. love the commentary mordi. Love that 1980s Borsalino sign! And that leather bag – wow! Nice pics. I love CCC, though I’ve never been able to justify buying anything from them — the markups over comparable items from places like Brooks and Press are astounding; this place makes the Andover Shop look like the bargain bin. I’ve always wondered how they’ve managed to stay in business, but I’m really glad that they’re still around. Magnificent store. I shopped there several times over the years at their old Sutter and Stockton location, but their downtown digs are superior. They have an incredible hat collection and know how to fit. If only I had known about this place earlier. 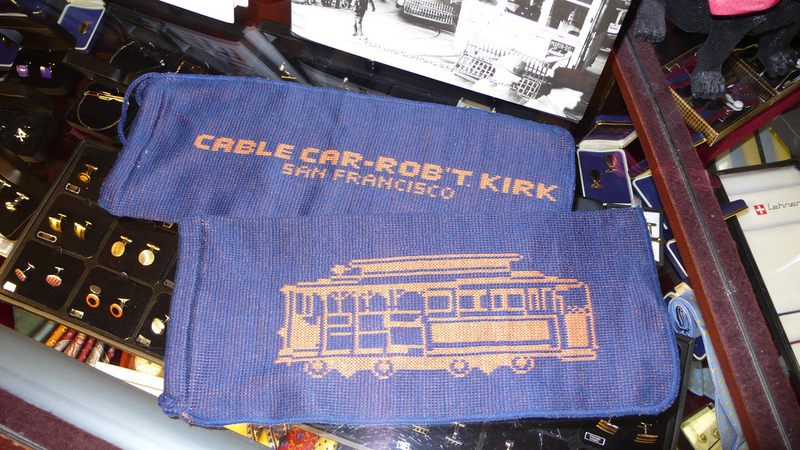 I was in SF two weeks ago and did some shopping, but didn’t find any stores that I loved. This place looks incredible. I love a man in a well-tailored club jacket. I used to pass CCC every day on my way to work and marvel at the window displays that seemed to be from another time. My only complaint in the amazing series from Mr. Mort is that he missed capturing the stunning array of jaunty hand-crafted wood & bamboo canes in the Bush Street window. I used to spend so much time here when I lived in SF. They have great discounts on Filson luggage, if you hit their holiday sale. Im visiting San Francisco for the first time in a month’s time. I’m just getting a little must visit itinery togther, cable car has made it on that list no doubt. What is the store called in the images below? The store with a sack full of Rockford Red heel socks?